Each mudra profile includes a photograph and easy-to-follow instructions, plus an accompanying meditation, visualization, breathing exercise (pranayama), mantra or yoga pose (asana) that enhances the effectiveness of the mudra. There's also a range of highly useful mudra routines for specific problems, such as hay fever, stress and jet lag. 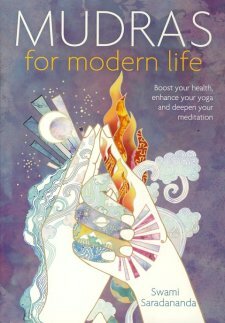 This is the definitve illustrated guide to mudras, ideal for experienced yogis and newcomers alike.